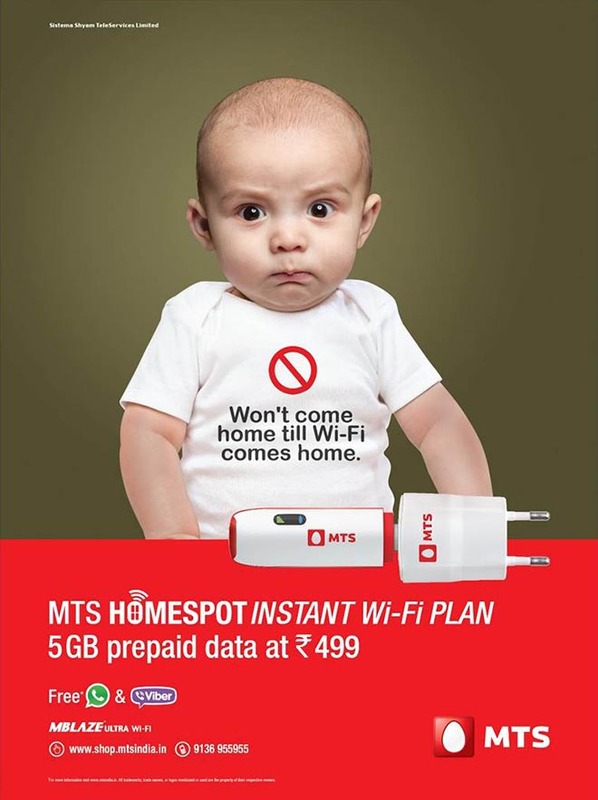 MTS India has launched a prequel to the viral hit MTS Internet Baby commercial, “Born for the Internet”. The 2014 commercial showed a newborn baby using a range of devices to instantly connect with the world. 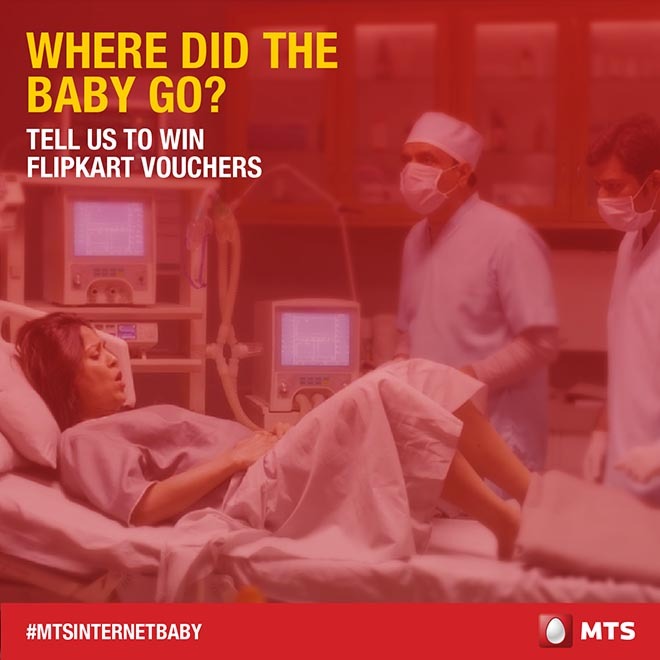 In the new MTS Baby commercial, first screened during the India vs Pakistan Cricket World Cup match, a mother, doctor and nurse in a birthing room are stunned when the in utero baby vanishes. In the next heavenly scene a pram rolls up to a man in a white suit. The baby starts to reason with God about the cruelty of sending him into a home that is not setup for WiFi. The baby argues ‘God is toying with his future.’ He exclaims ‘No WiFi! No Go!’ God transforms his appearance to become a salesman for MTS Homespot Instant WiFi, convincing the baby to go through with the birth. 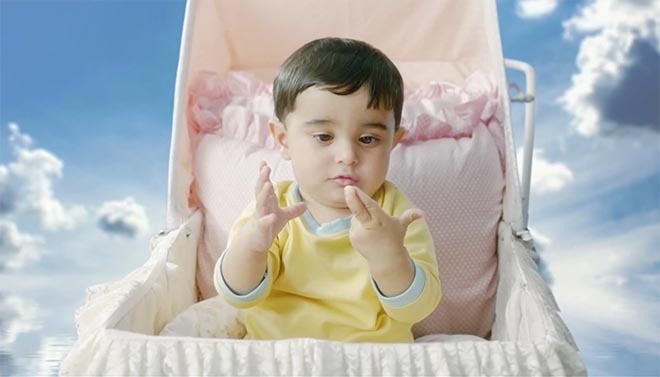 The commercial ends with the baby asking his parents for the WiFi password. The new integrated campaign was launched during the ICC 2015 Cricket World Cup on the day of India v/s Pakistan game via a television commercial and is supported via print, radio and digital. A teaser campaign was launched on February 12, 2015 through Twitter. 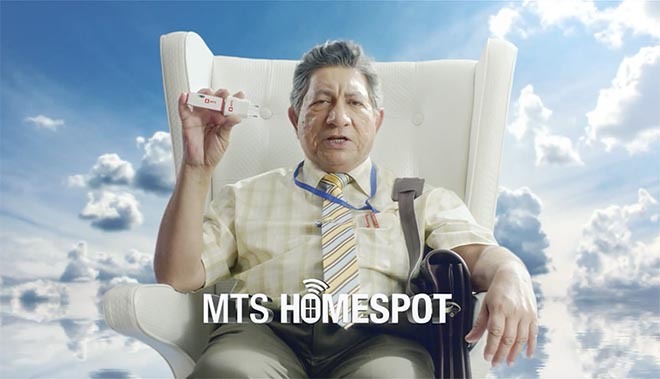 Amitesh Rao, Director Brand & Media, MTS India, says, “After the phenomenal success of ‘Born for the Internet’ campaign launched last year and looking at overall response we knew that consumers strongly connect with the MTS Internet Baby. So we wanted to continue building on this brand proposition and expand the market place”. Amitesh further added, “As the name suggests, the Homespot Instant WiFi provides plug and play access to multiple internet users simultaneously. This launch marks a strategic shift in focus for MTS from being primarily a dongle driven Data Company to a WiFi solutions provider”. 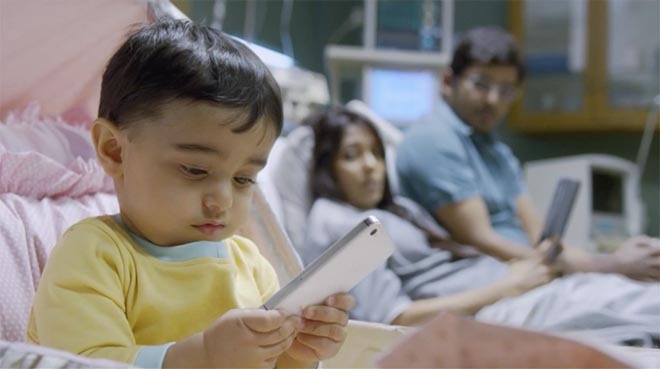 Google India featured the original MTS Internet Baby campaign in one of their case studies. The MTS Baby campaign was developed at Creativeland Asia, Mumbai, by creative chairman/copywriter Sajan RaJ Kurup, executive creative director Anu Joseph, working with MTS India director of brand and media Amitesh Rao. Filming for the original spot was produced at Smuggler by director Guy Shelmerdine, director of photography Alex Barber, executive producers Fergus Brown and Chris Barrett and producer Nick Fewtrell. Editor was Andy McGraw at Stitch Editing. Postproduction was done at Glassworks London by executive producer Abi Klimaszewska, 2D lead Duncan Horn, 3D lead Jon Park and colourist Duncan Russell. Music was produced by Mike McCleary, Mumbai. Filming and post production for the prequel were produced at Early Man Film. “I’m Coming Out” is a hit single released by Motown singer Diana Ross in 1980, written and produced by Chic members Bernard Edwards and Nile Rodgers for her 1980 album Diana.